Howdy all, another busy weekend and week and didn’t get this post up on the actual anniversary, so here it is a few days late! August 1st 1954, Paramount Pictures released one of my all time favorite movies, Alfred Hitchcock’s “Rear Window”, starring James Stewart, Grace Kelly, Raymond Burr, Thelma Ritter, and Wendell Corey. Surprisingly, the score is by Franz Waxman instead of Hitch’s usual Bernard Herrmann. The production and sets were built & filmed on Stage 18, the same set used for Deep Space 9 and also the home of the bridge, shuttlebays and corridors for ST Enterprise. 18 is really not that big of a set, and looking at what they had to do to fit in an entire apartment complex in this space is quite remarkable. From the film’s point of view, you have Jimmy Stewart’s apartment set which looks across a courtyard to a 4 sided multi level apartment setting with an alleyway that crosses a street with yet a resturaunt set beyond that. A massive amount of depth and forced perspectives were used to create as much of a controlled but natural looking location as possible. To add depth to the set, Henry Bumsted ( the Art Director) had the brilliant idea to pull the floor from the stage and use the basement below the floor as the courtyard., So Stewart’s second level apartment was actually at floor level and the open basement made it appear to be on the second floor.. A masterful use of space and some awesome craftsmanship went into detailing all the individual apartments and basically every inch of the set to make the environment as believable as possible. The film starts out with the camera looking out of Stewart’s apartment to give you the lay of the land. The camera returns to show Stewart asleep in a wheelchair with a full length leg cast. The camera continues to travel around the room, and through the artifacts in his room you discover that he is a photographer that got a broken leg by taking a picture of two crashed race cars flying his way. Trapped in his room, he becomes familiar with what all of the neighbors are up to, and by chance he believes he is a witness to a murder and has to prove his hunch. One by one, those he has contact with fall for his claims, and they all have their own ideas and theories of what and why a man would kill his wife…and then find a way to get rid of the body. The only one not convinced is Stewart’s close and thorough detective friend. Not to give anything away, you’re in for a ride full of suspense and twists as only Hitch can do. This one is a must see! Hitchcock only leaves the confines of the apartment briefly for a few shots, as the film is primarily shot from one set. I saw this one when I was about 16, and I was glued to the TV set for the whole film. 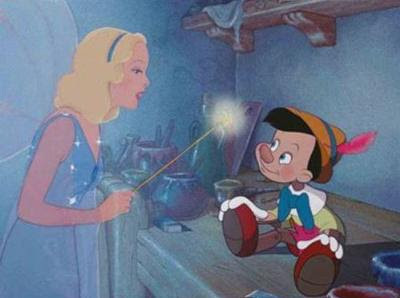 Still young at heart, my biggest crush at the time was for the Blue Fairy from Pinocchio…that was until I saw Grace Kelly and then everything was different. Grace is probably one of the most beautiful women that has ever graced the silver screen and she appeared in Hitchcock’s next film, “To Catch a Thief”. Jimmy Stewart is also an all time favorite, and together they are magical on screen. A lot of under stories take place and you get to know all of Stewart’s neighbors as the main story builds, all of which is wrapped around a single musical composition that is being written by the piano playing neighbor next door. Rear Window is yet another brilliant masterpiece by Alfred Hitchcock. This one is a must see and a keeper as well! I went out and bought it on VHS when I got my first job, then got it on laser disc, and then a couple of copies on DVD…Paramount is still making money off of me for this one. HAAA! Grace desperatly wants to marry Jimmy, but he wants nothing to do with it...what a buffoon! suspicions on the rise, a pair of field binoculars get you in a little closer. OH Jimmy just say "I do" and stop messing around! a very 50's style poster. Rear Window is definitely a masterpiece! I hadn’t fully appreciated the size of the set and magical use of space until you told us how it was all done…thanks!! Incredible set. I was lucky enough to see this for the first time in a theatre when it, “Rope,” “The Trouble With Harry” and a 4th Hitchcock, all unseen for many years, were re-released back in the late ’80s, I think. I took the apartment quad for an exterior! Hitchcock ws a genius. Grace Kelly, a goddess. I often wonder which if any of our modern directors and stars will gain such a reputation in decades to come. i could barely tell you use a mac, how did you get the screen caps. dvd capture!!! great program and I use it all the time for work!! I usually do a crop on my grabs but didn’t have time today! My absolute favorite Hitchcock film. Rear Window was how I discovered Hitch, and I still remember that night back in 1982 (or was it ’83?) when my friends and I went to a showing at the University of Texas (Austin) Texas Union movie theater. If I recall correctly there had been some sort of copyright dispute and Rear Window hadn’t been screened in years, so this was an extra special treat, and the movie did not disappoint. Great post! I am trying to remember which was my first Hitch film,,, it was either this one or Psycho! I watch this movie at least once a month, I love it so much! I just like to put it on and visit with the neighbors, to see what they’re up to! 🙂 Especially Miss Torso. It’s kind of a comfort food of movies to me. Thanks for the awesoem post! I’m sure you already know this, but the piano player is Ross Bagdasarian, who later achieved fame as David Seville. the man who created Alvin, Simon, and Theodore of The Chipmunks. If you move again I will nail your feet to the floor and your blood will flow like milk! I love this movie, both for the incredible level of suspense it creates and for the astonishing set. The level of detail and realism is simply incredible and, in my mind, remains unmatched to this day. When I first saw this film on TV as a child, my father told me that all of the buildings were actually sets and not real locations but I didn’t believe him. The logistics of creating that set must have been mind-boggling, but it is so well and fully realized; it must have been just dazzling to movie-goers of the time. Wow! Thanks, John, for the fond memories of this amazing film. It’s a must-see for any fan of cinema. I want to go home and watch it now!!! Just breezing thru to get the grabs was hard to do and not stop and watch! Cool Hitch started out great in the 30’s and was a master by the 50’s!!! the later films in the 70’s reflect a different time and social style and I don’t remember liking them much… time to go back and do some renting of the last films he made to see if my initial thoughts can be changed. I love sets like this that are so extensive and multifaceted. Wasn’t there a Jerry Lewis movie that had a whole building built on a soundstage…like a sorority or something? I forget what it was exactly. this is the kind of movie that i wood like to see on the big screen again, I wonder why more theaters done have a mid night showing of old movies.Theres a lot of Hitch movie i think younger people might like if they took the time to sit and watch.